Recently, U.S. Ambassador to the United Nations, Nikki Haley, departed for her first ever trip to Africa, visiting Ethiopia, the seat of the African Union, and the Democratic Republic of the Congo and South Sudan, two of the continent’s most war-weary nations. Her visit to Juba in South Sudan will be the most consequential of the trip — both for U.S. foreign policy and for millions of South Sudanese civilians. Haley has been tasked with evaluating whether withdrawing U.S. aid would put pressure on the besieged country to end its four-year civil war. Haley has observed that “without political will” from South Sudan, the “U.N. cannot achieve its goals.” But by adding that “our goal is to serve American interests, and to help give the tens of millions of citizens of the DRC and South Sudan the opportunity to return home, live in peace, and build a prosperous future,” she also illustrates the difficulty of her mission. When the Republic of South Sudan became an independent country on July 9, 2011 — with the assistance of the U.S. — the people of South Sudan and of the world were hopeful. After nearly 30 years of civil war, perhaps stability would prevail and the new nation could thrive with the aid of income from natural resources previously controlled by its former government in Khartoum, Sudan. 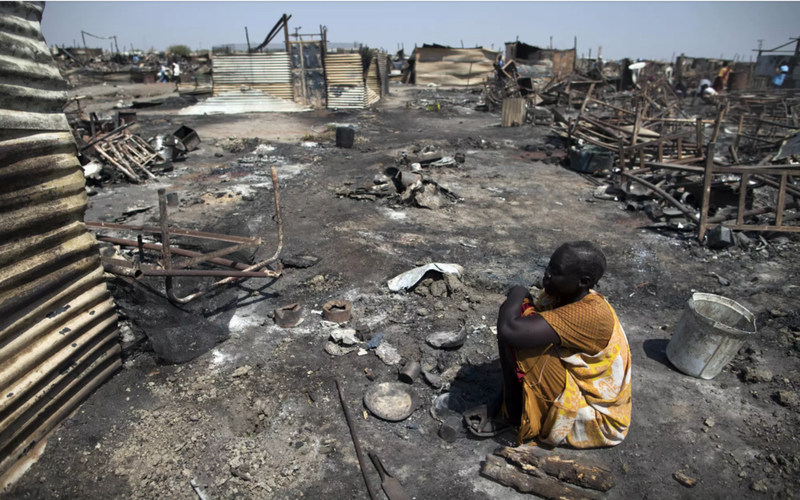 Barely two years later, South Sudan descended into one of the world’s most horrific political and ethnic conflicts. This was tipped off by President Salva Kiir and his former vice president Riek Machar, and characterized by routine violations of international law and sexual violence. The fighting has resulted in the deaths of more than 50,000 people, the flight of nearly 4 million refugees, including 1.87 million internally displaced persons and more than 6 million people needing humanitarian assistance. The U.S., as its largest donor, has funded more than $1.2 billion in emergency aid for civilians in fiscal year 2017. This is a conflicting position worth acknowledging. How does a U.N. member state discourage predatory and destructive political leadership without inflicting further suffering by discontinuing lifesaving aid? In order to keep these people alive and to positively change the statistics next to the faces, the U.S. must look past Kiir and focus — alongside partners from across the humanitarian community — on alleviating the suffering of the South Sudanese, while working toward a political resolution. We can hope for a regional solution to a regional problem, but the truth is that U.S. aid and diplomacy — both its carrots and its sticks – remain critical catalysts. Otherwise, Haley’s inspiring trip will be for naught, and she will have not only let down the people of a country the U.S. helped conceive, but also those of us working so hard to keep it alive.